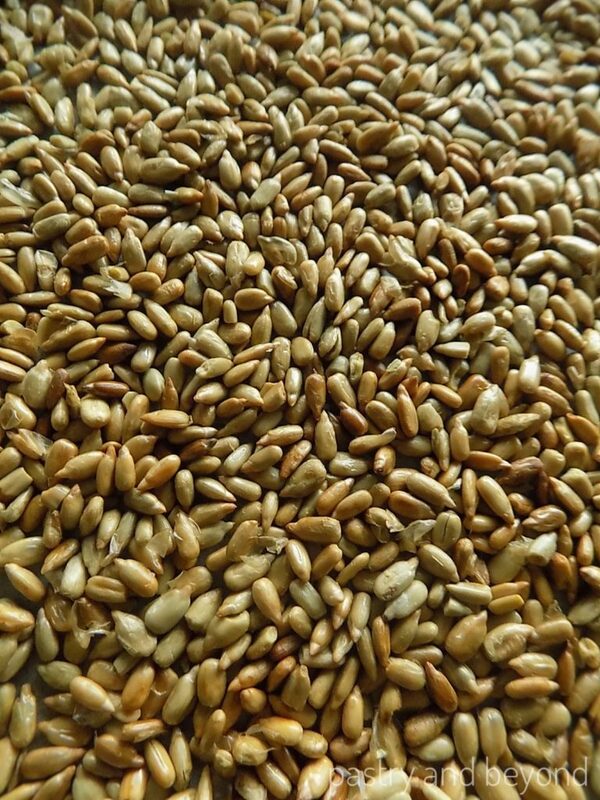 You can easily learn how to remove salt from sunflower seeds and roast them. I was making heart shaped cookies with sunflower seeds which I will share after this post. I didn’t remove the salt from the seeds in my first attempt. Although I like salty sweets cookies, those were too salty. Then I made the cookies again but first I removed the salt from the sunflower seeds. I decided to share the easy steps as a post so you can easily find it as a short post in how-tos section if you need it. First put the sunflower seeds in a bowl and pour enough water to cover them. Let them stay there for almost 15-20 minutes to remove the salt totally. If you want some salt, you can keep it there less. Then pour the sunflower seeds and water through the colander. 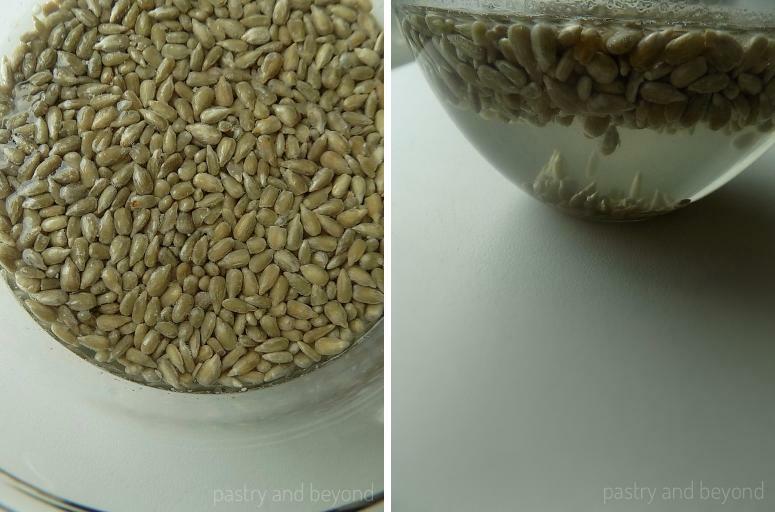 Pour pure water over the sunflower seeds and wash them with pure water. 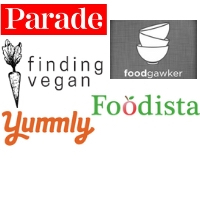 Let them stay in the colander for 15 minutes to drain. Then put them on the paper towel, cover with it and let them dry. 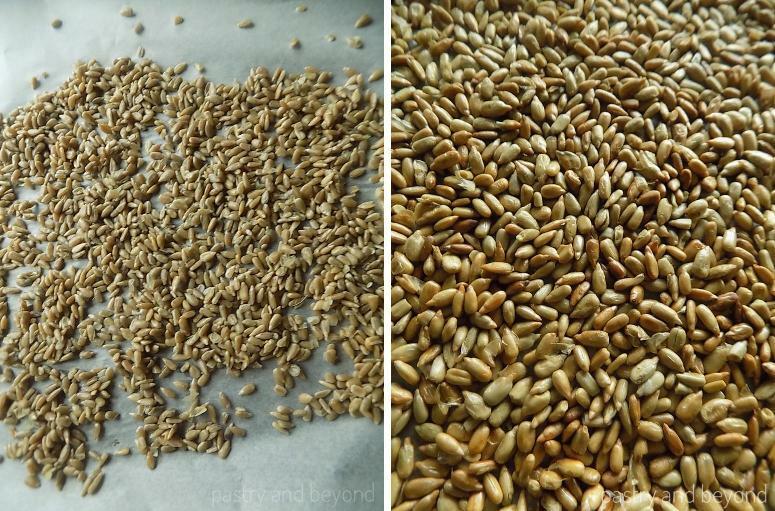 The sunflower seeds may not be totally dry, that’s ok. Place them on the baking sheet covered with parchment paper. Spread them as single layer without overlapping and bake in the preheated oven at 400°F (205°C) for 15 minutes or until they are crunchy. Open the oven in the middle and mix them with a spoon so they won’t burn. That’s all! You can use them as you like!